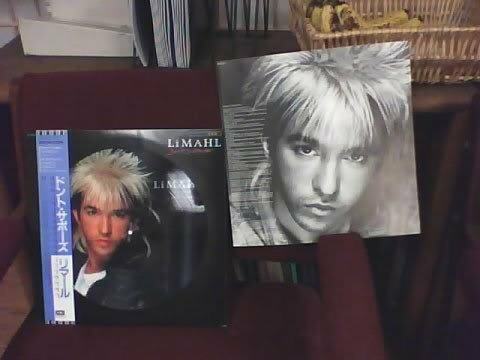 If you’re a fan of Limahl, you’ll know he released his debut solo album ‘Don’t Suppose’ in 1984. What you might not know is that there is a very rare version of this album in existence, and a very rare japanese picture disc version also. These versions are rare because of a track they do feature, and a track they don’t feature. EMI had already released this album before Limahl was chosen to record the theme music for ‘The Neverending Story’, therefore this track originally missed the album. The first release of the album included a live track called ‘The Greenhouse Effect’. On the success of ‘The Neverending Story’, the album was pulled by EMI, and a switch of tracks was made. ‘The Greenhouse Effect’ was removed and replaced by ‘The Neverending Story’. The track is a rare track, though it can also be heard on the B-Side of the ‘Tar Beach’ single. So, if you own the album, have a look and see if you have the common one or the rare one!! 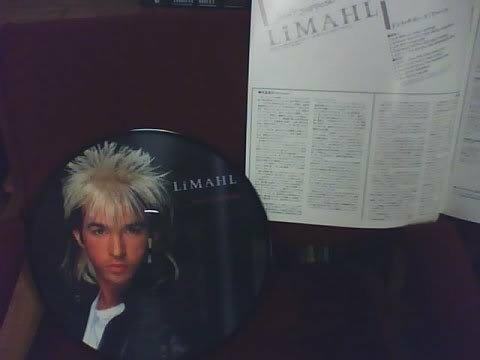 And here for your viewing pleasure, pictures of the japanese picture disc release, owned by my good friend and fellow Goo fan, J’nae. Front of Album in Jacket and Front of Insert. Back of Jacket and Back of Insert. Back of Picture Disk, Inside Right Page of Insert. 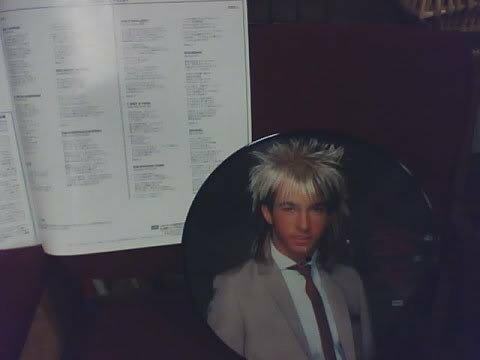 Close up of Back of Picture Disc showing Track Listings. As you can see in the last photo there, ‘The Neverending Story’ is missing from the listing, replaced by ‘The Greenhouse Effect’. Many fans believe that ‘The Neverending Story’ sits a lot better on the album but that’s a different story! 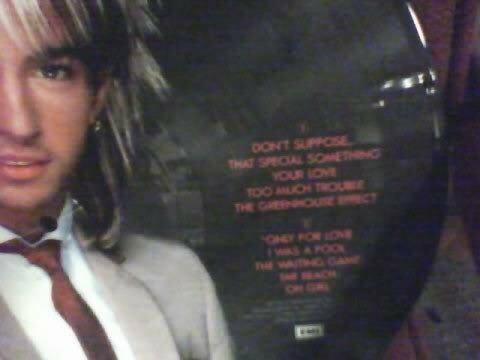 Many people think environmental issues are a new thing, but here we have Limahl singing about the subject back in 1984. Many thanks to J’nae for the photos. I was very surprised when the album arrived and I found if had ‘The Greenhouse Effect’ instead of ‘The Neverending Story.’ I had been hearing such an album existed but no one seemed to have actually seen one at the time. 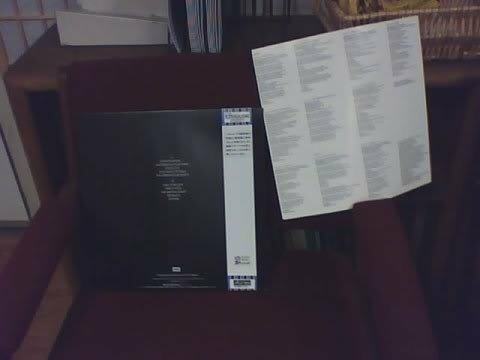 I don’t think I’ve seen that one before with it’s full obi strip and die cut sleeve and lyric book, very rare to find a complete one, if at all. Hate to tell you RealShyBoy this one isn’t for sale. 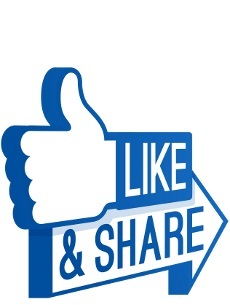 Check with EIL. They are where I got this one from. They did at one time have an other one. Haven’t seen an ad for it from them in a while though so it may have sold already. Oh, I agree. That’s how I ended up with it in the first place. Couldn’t resist getting the picture disc despite having two vinyl copies already. 🙂 Well worth having spent the money. I’ll keep a look out for it as I’d really love a copy, I’ve been using eil records for years, they do a finding service so I may ask if they can track one down. Japan did some amazing pressings in the 80s, I have lots that i’ve collected.